Two wheeler vehicles in the likes of bikes and scooters are India's most sought-after vehicles. An increasing number of people are choosing two wheeler vehicles over four-wheeler vehicles for daily commute and also for recreational long drives. However, riding a bike entails more risks and calls for adequate protection. Two wheeler insurance is a legal requirement in India. If you want to ride your bike, you ought to have a two wheeler insurance plan with at least third party liability coverage. However, a liability only two wheeler insurance plan doesn't safeguard the insured two wheeler from external damages and theft. To keep your bike under the coverage, you need to avail a comprehensive two wheeler insurance online plan. Although, comprehensive bike insurance plans are optional in India, it is strongly recommended that you go for it and ensure complete protection for your bike. Now that you know what type of two wheeler insurance you should avail, it is time to choose the best two wheeler insurance policies online in India that meets all your requirements without exceeding your budget. Two wheeler insurance companies are aplenty in India so you need to go through the details of each provider's two wheeler insurance plans minutely before settling with any particular bike insurance online policy. Out of a myriad of top two wheeler insurance companies in India, here is a list of top 5 bike insurance policies in India. These two wheeler insurance plans are chosen on the basis of beneficial features, performance of their providers and reviews by bike-owners in India. Let's take a look at the key features of these best two wheeler insurance policies in India. A long-term Bajaj Allianz two wheeler insurance plan online come with extra NCB benefits. Long-term Bajaj Allianz two wheeler insurance plans online help you make savings on your TP premium. Long-term Bajaj Allianz two wheeler insurance policies online provide refund upon mid-term cancellation even after making claims. 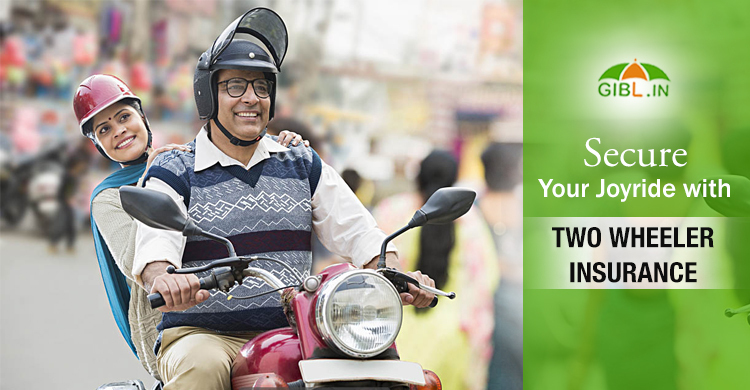 SBI two wheeler insurance plan provides discounts to bike-owners between 25 and 55 years. Should You Consider Long-Term Two Wheeler Insurance? IRDAI introduced a long-term two wheeler insurance policy. Some of the two wheeler insurance policy providers have come up with long-term two wheeler insurance online plans such as ICICI Lombard, HDFC ERGO, Bajaj Allianz. Long-term two wheeler insurance online plans are in great demands among the bike-owners in India as they offer an array of benefits to bike-owners. Let's take a look at the advantages of availing a long-term two wheeler insurance online plan. You don't have to go through the ordeal of two wheeler insurance renewal every year, if you opt for a long-term two wheeler insurance. It is indeed problematic to keep the renewal dates in mind, especially if someone owns multiple two wheeler insurance online plans. Many a times, bike-owners face troubles for not renewing their two wheeler insurance in time. In case of an accident when the two wheeler insurance policy is not in force, bike-owners have to bear the financial loss entirely. But, if you are armed with a long-term two wheeler insurance plan, you can stay economically protected for up to 3 years. If you fail to renew two wheeler insurance plan in time, many providers initiate an inspection before renewing. If you want to avoid this cumbersome process, you can avail a long-term bike insurance policy. You don't have to worry about policy expiry as long as the chosen tenure of your two wheeler insurance online policy comes to an end. Many two wheeler insurance companies in India provide discount on own-damage premium of a long-term bike insurance policy as they cut on policy-issuing cost every year. For an instance, ICICI Lombard provides such discount and the amount depends on the manufacturer, model and the place where the two wheeler is registered. This type of discount is not available with a regular two wheeler insurance online policies that come with one-year term. Third party premium of two wheeler insurance online plans increases by 10%-15% every year. By opting for a long-term bike insurance policy, you don't have to pay the increased amount every year. Apart from TP premium, many two wheeler insurance companies also increase OD premium on renewal of a bike insurance policy if there was any claim in the previous year. If you choose to go with a long-term two wheeler insurance online plan you don't have to pay additional premium each year. The NCB slabs of long-term two wheeler insurance policies are more advantageous than the NCB slabs of regular one-year bike insurance policies. If you buy two wheeler insurance online plan from ICICI Lombard with a tenure of 3 years, you will get 40% discount after 3 claim free years. 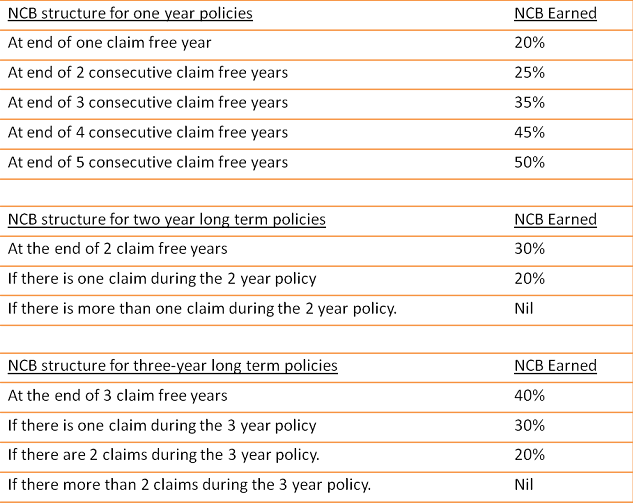 But, in case of a one-year policy, the NCB discount is 35% after 3 claim free policy years. Another advantage of opting for long-term ICICI Lombard two wheeler insurance is you can avail NCB benefit even after making claims. But, NCB becomes nil after making one claim in case of a regular ICICI Lombard two wheeler insurance plan. In case of theft or total loss of the your two wheeler, a percentage of the premium you paid is refunded if you buy long-term two wheeler insurance online policy. Finding the best two-wheeler insurance online policy is a rather daunting task, especially when there is a plethora of car insurance plans available in India. The above list of top two wheeler insurance plans should help you select the right two wheeler insurance plan for your bike. You can choose any of these bike insurance policy as per your needs. It is always better to compare two wheeler insurance online plans in terms of premium , features, benefits, limitations and exclusions. GIBL.IN is the premiere online insurance marketplace that provide details of all the two wheeler insurance plans available in India. You can visit the portal of GIBL.IN to compare two wheeler insurance online as well as to buy two wheeler insurance online in just a few minutes. How to File a Two Wheeler Insurance Claim? You should know that what is included and excluded of your two wheeler insurance plan?